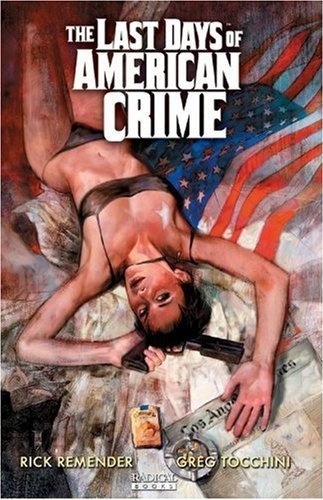 When published The Last Days Of American Crime looked like an edgy and must have read, but I lost track of it along the way until I was scouring longboxes at a Boxing Day sale. THE LAST DAYS OF AMERICAN CRIME is a hard-boiled heist set in the very near future where the government plans to implement a form of legal mind control, making it impossible for its citizens to commit unlawful acts. Career criminal Graham Bricke must put together the last heist in American history – on the last night crime is possible. It’s a solid plot that executes well and rolls out like a top notch film. The government is implementing a broadcast that acts as a synaptic blocker, making it impossible for anyone to commit an act they know is unlawful. 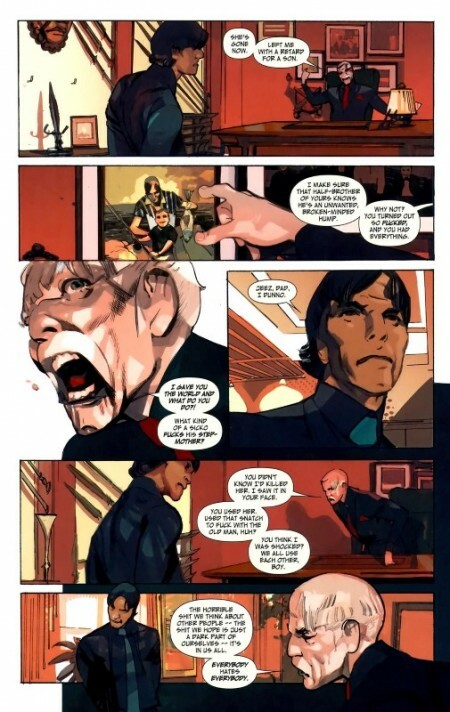 We learn this via a news broadcast as our protagonist Graham Bricke waits in a bar. It’s that kind of story device that elevates this book above your standard heist. Society is almost at the bottom of its downward spiral, and the reader is presented constantly with backgrounds and little side snippets to build atmosphere; well done. 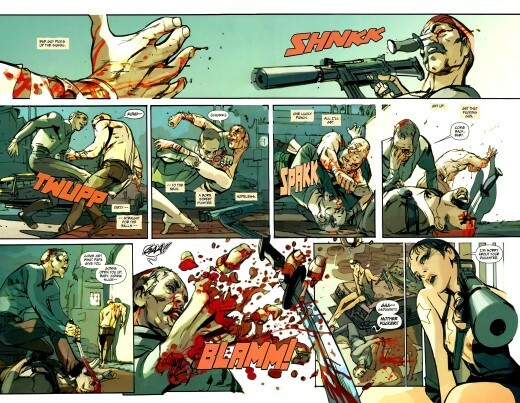 This couldn’t be a heist story without the characters having baggage, but Remender goes out of his way to make sure every character is running or gunning for something. They come to a head and the are dealt with but I don’t think they were all needed. There’s a definite timeline that the story flows with, counting down to the broadcast. With such a short window there’s no time for characters to be anything but who they are: in this case criminals to the core. Some nice turns along the way but you see where this is going early on. All art chores are handled by Greg Tocchini; it’s an interesting and eye-catching style that I haven’t experienced before. It looks like instead of inking his pencils he used a black wash and then digitally coloured the work. It’s that colour, pallet choices and application, that set everything off. Great sense of movement and action. Unfortunately Tocchini seems to have a real problem with faces: most get washed out and lack definition, blending into each other. Weird mouths and oddly shaped features. Extras we’re treated to all the covers and extensive character designs, plus an interview with Remender. Violent, sexual and very much adult material. It’s a solid package at $15 and allows for several reads.